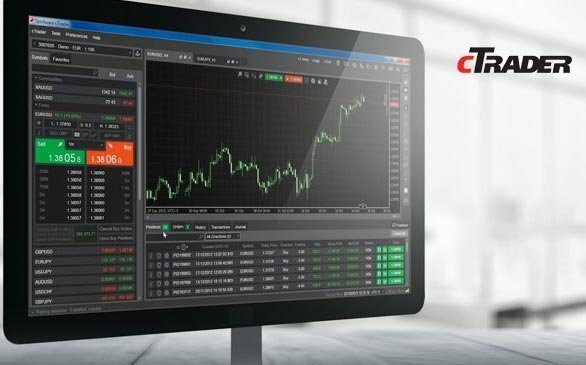 cTrader is an Forex & CFD trading platform that uses cloud technology that offers direct market access (DMA) brokerage capabilities to new, experienced and institutional traders in the Forex market. cTrader was awarded “Best Retail Platform of 2013” by FX Week. In 2012, Spotware partnered with International Capital Markets Pty Ltd to launch the cTrader platform in the Asia Pacific region. It offers traders a large set of benefits, such as flexibility, 14 chart timeframes, 30 technical indicators, trend lines, Fibonacci levels, support and resistance lines, channels, market depth, etc. The platform grants its users access to a deep pool of liquidity providers, Boston Prime, Citi and Sucden Financial being some of them. Find here the complete list of Brokers who offer cTrader platform for trading. You should know that different brokers use different kinds of Forex trading systems so when you hear such thing as cTrader Forex brokers, it naturally refers to any Forex brokers using the cTrader platform. This platform is basically using the ECN style. It is implemented by traders make orders and then send them away to liquidity providers. The traders are given the options to choose different prices ranges provided by the providers. The entire execution and order will bypass the dealing department of the broker who provides the service. This trading platform is relatively new so there aren’t many Forex brokers who have implemented and used the system to their own advantage. It does take the time to get adjusted to the system, especially with the improved ECN platform. The biggest advantage of using this platform is the fact that there are some different platform versions. The web-based is definitely different from the mobile version, which is used for tablets or mobile devices. The web-based platform will use the username and password through the URL. There is also the so-called cAlgo, which is used by the programmers and traders by using codes. This system can be integrated with the regular cTrader platform and it uses expert algorithms, indicator, and also expert advisors. Another cool thing about the system is that a demo platform is always available for each of the platforms. By having this, traders can get to know the platforms well. Also they know how to operate it before using it for the real application and implementation. Since the cAlgo and cTrader are linked, you should be able to see the cAlgo tabs on cTrader interface and vice versa.